There’s a new and improved version of the classic game from Crown & Andrews – Test Match is back. Growing up, my brother an I used to play Test Match for hours and hours. My brother was (and still is) cricket mad, me not so much, regardless I have fond memories of playing Test Match on the dinner table. 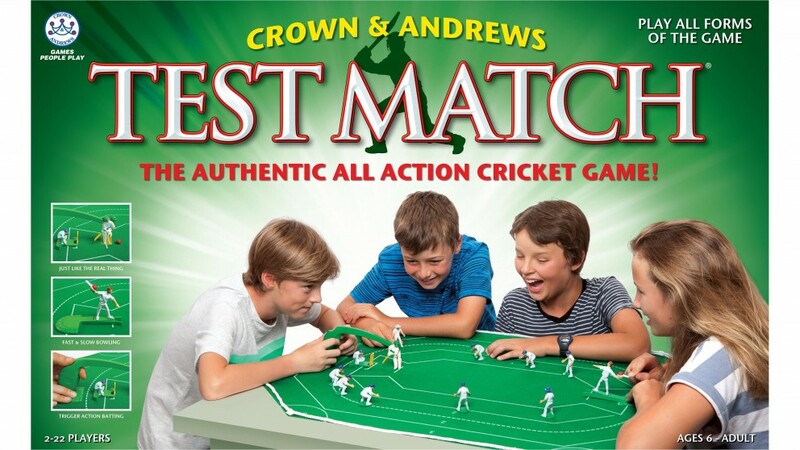 Crown & Andrews have released a new version of Test Match, one of Australia’s most popular games for over 30 years (feeling old when I hear that!). Test Match is the ultimate table-top cricket experience where you can play all forms of the game, including test match, one day, and 20/20. One of the best things about Test Match is you can have up to 22 players so it’s great for the whole family – and friends to play! The new version has updated action figures and the ball has real bouncing action just like a real cricket game. There is also fast bowling, slow bowling, and a fielder that can be positioned to intercept the ball. The kids were pretty excited when they realised I had Test Match the cricket game to review, needless to say they loved playing the game. Test Match is perfect for the school holidays! The only negative I had regarding the game was the border/boundary. It is a white rope that sits in little ‘holders’ and wasn’t very taut. This is a pretty minor issue as it still seemed to work pretty well at stopping the ball. 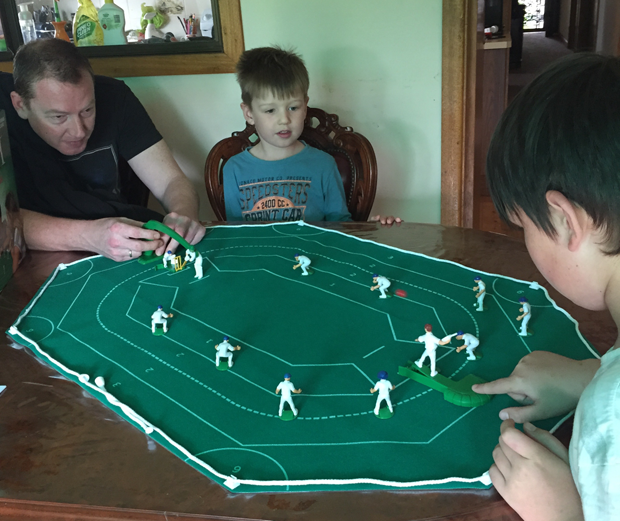 Test Match is a great game that all the family can enjoy and is great for extended play! 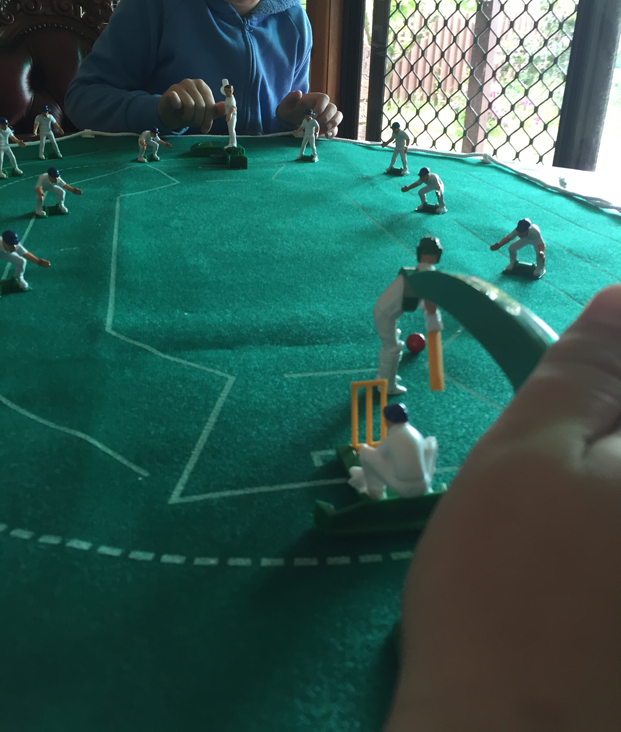 Test Match is suitable for ages 6+ and between 2-22 players. Test Match is available from September 2015 at all leading toy and department stores RRP $59.95.